In case you still need gift tags and packaging ideas, you can find a mother lode of options over here at Tipnut, including a link to these from Sugarloop, shown above. You have read this article christmas / downloads with the title December 2008. You can bookmark this page URL http://jenkrebs.blogspot.com/2008/12/printable-gift-tags-and-such.html. Thanks! You have read this article games / time-wasters with the title December 2008. 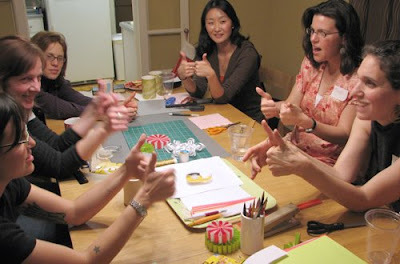 You can bookmark this page URL http://jenkrebs.blogspot.com/2008/12/online-memory-game.html. Thanks! You have read this article baby / downloads / printable with the title December 2008. You can bookmark this page URL http://jenkrebs.blogspot.com/2008/12/download-some-animal-stickers.html. Thanks! We have an aluminum tree this year, but weren't sure how to light it. 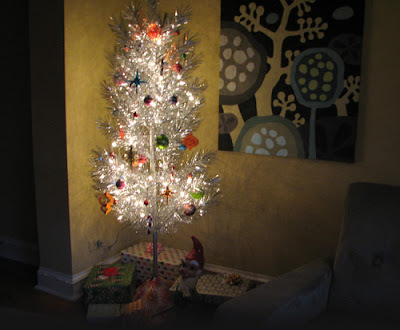 Idea one: use a string of Christmas lights like normal people do on Christmas trees. The problem: the cords only come in dark green or white, and both stick out like a sore thumb on this tree. Idea two: get one of those color wheel things that people used decades ago. The problem: It doesn't light up your tree whatsoever, and the gizmo is, to quote my husband, "a piece of crap." So we went with idea three: silver metallic spray paint. (We taped the bulbs so they wouldn't be painted, in case they get too hot and burst into flames or something.) The result is awesome. Just one small problem: it's been 3 days and the paint is still sticky. Hmmm. It's perfectly dry on the plug and lightbulb sockets. But the cord is still tacky to the touch. Why??? Maybe by mid-January it will be dry enough to pack up and store for next year, if it hasn't glued itself to the tree permanently by then. But hey, the lights look great and you can't see the cord at all! Here's a bad photo for you. The tree is about six feet tall and rather skinny. It's like me in high school. I had silver metal braces, too. Update: The paint was still tacky when we packed up the lights for storage in January. When we took them out again in December one year later, the paint was finally dry. Also, thanks for considering my safety, friends. I'm pleased to report that after using the lights on the tree for three years, we have not been electrocuted. You have read this article christmas with the title December 2008. You can bookmark this page URL http://jenkrebs.blogspot.com/2008/12/it-seemed-like-good-idea.html. Thanks! Last night I printed some of these from Martha Stewart to stick on presents. Get them here. You have read this article christmas / downloads / printable with the title December 2008. You can bookmark this page URL http://jenkrebs.blogspot.com/2008/12/downloadable-gift-tags.html. Thanks! Get 50% off all mousepads and postcard sets in my shop this Saturday and Sunday, 12/13-14. You have read this article with the title December 2008. You can bookmark this page URL http://jenkrebs.blogspot.com/2008/12/shop-announcement.html. Thanks! You have read this article christmas / tutorials with the title December 2008. You can bookmark this page URL http://jenkrebs.blogspot.com/2008/12/more-ornaments-to-make.html. Thanks! You have read this article with the title December 2008. You can bookmark this page URL http://jenkrebs.blogspot.com/2008/12/good-news-no-serial-killers.html. Thanks! Free snowflakes for all you Illustrator users. Get an .ai and .pdf file here, compliments of Jeni-cek. You have read this article downloads / graphic design with the title December 2008. You can bookmark this page URL http://jenkrebs.blogspot.com/2008/12/vector-snowflakes.html. Thanks! 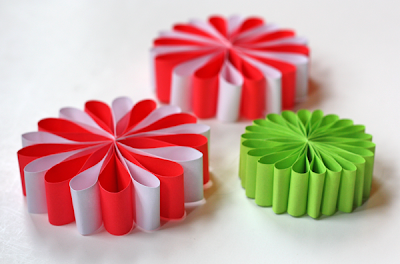 You have read this article christmas / paper / tutorials with the title December 2008. 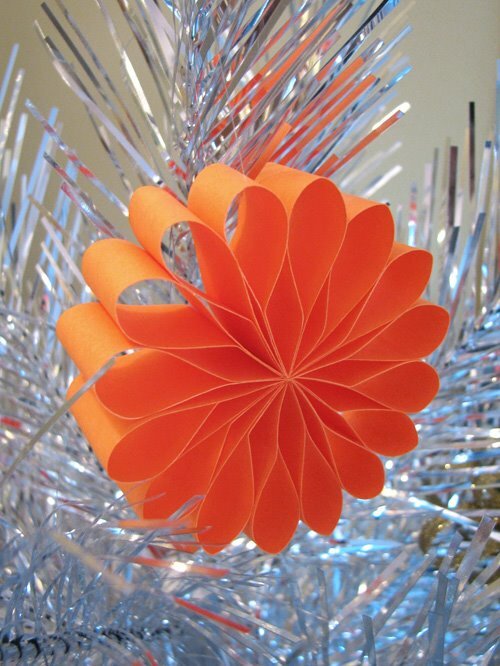 You can bookmark this page URL http://jenkrebs.blogspot.com/2008/12/paper-flower-ornaments.html. Thanks! Didn't I just get done saying I don't like orange and purple together very much? 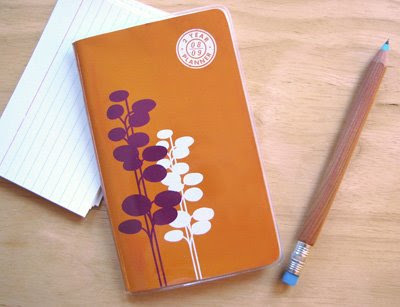 Yeah, then I go and buy this planner. $2.99, CVS Pharmacy. I always keep a "month at a glance" version around, but usually this cheap kind has some dumb photos of puppies or palm trees on them. I'll take orange and purple, thank you. You have read this article with the title December 2008. You can bookmark this page URL http://jenkrebs.blogspot.com/2008/12/orange-and-purple.html. Thanks! These are the stockings my mom and I made last Christmas for our family for hanging at her house. The production sort of spilled over into after Christmas, due to a miscalculation on how long they would take, so I didn't post them here last year. (Click the photo to view larger.) Guess which one is mine! You have read this article christmas / felt with the title December 2008. 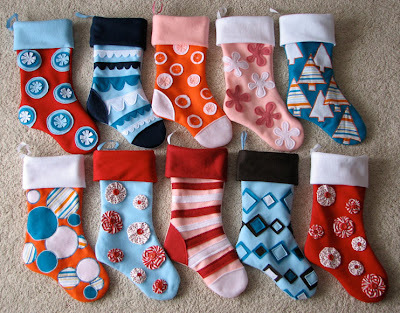 You can bookmark this page URL http://jenkrebs.blogspot.com/2008/12/felt-stockings-galore.html. Thanks! The folks at Mibo are offering a printable 2009 calendar PDF and a chance to win a lovely tea towel (giveaway is every three months) to those who join their mailing list. Click here to sign up for your calendar. You have read this article downloads with the title December 2008. You can bookmark this page URL http://jenkrebs.blogspot.com/2008/12/free-printable-2009-calendar.html. Thanks! 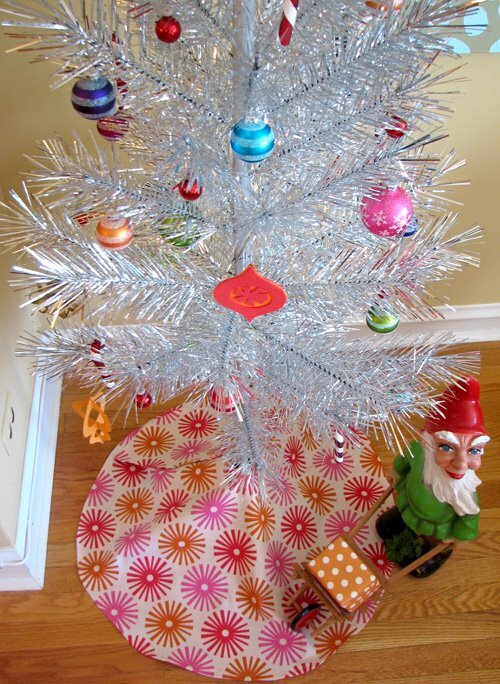 And what is that creepy looking garden gnome doing under the tree, you ask? You may remember this post, where I explained that he is Alex's childhood Christmas friend. And that Alex believes he's an elf. So the, um, elf has to stay, he and his little present, which Alex allowed me to rewrap this year. I'd always wondered what was in that box. 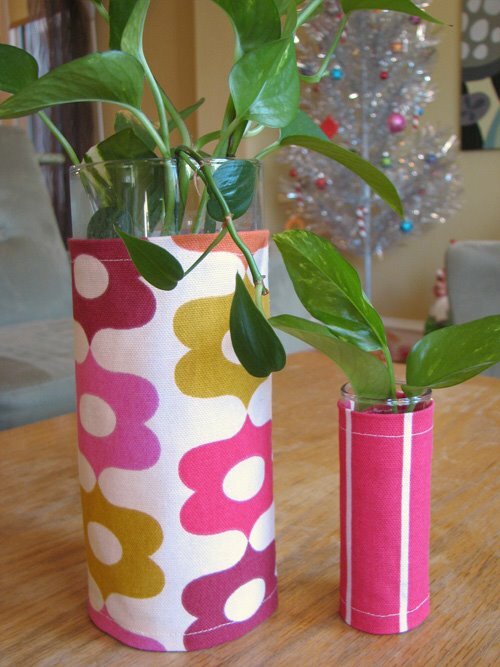 I made some vase slip covers, too. You can read my easy tutorial at Modish this week or find it in my archives if you want to make some. And I had some fabric scraps left so I was going to make a whole bunch of these stuffed ornaments and do a garland or something. 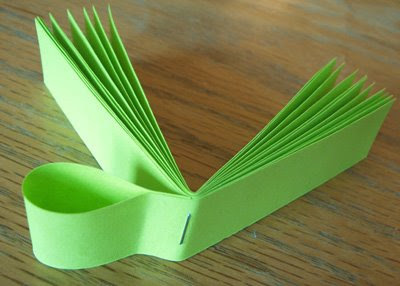 Except I lost interest after making just one. And I was so lazy I couldn't even stitch the opening shut after I stuffed it. I used a glue gun. Maybe next time I will try to do a whole sewing project with a glue gun. Yes. 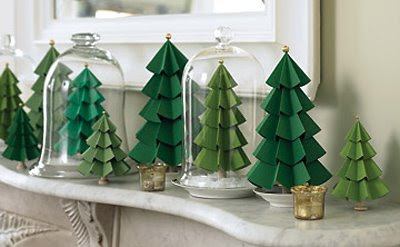 You have read this article christmas / decorating with the title December 2008. 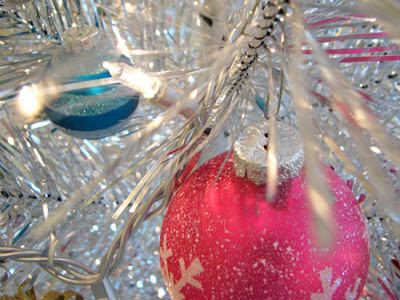 You can bookmark this page URL http://jenkrebs.blogspot.com/2008/12/some-christmas-decorating.html. Thanks! Download a free Word template from Microsoft that works with Avery paper products. You can customize the message and print 'em out. I like. You have read this article christmas / downloads / printable with the title December 2008. 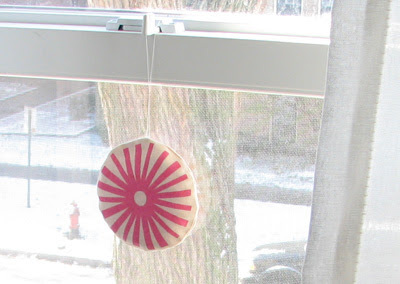 You can bookmark this page URL http://jenkrebs.blogspot.com/2008/12/orange-printable-holiday-gift-tags.html. Thanks! 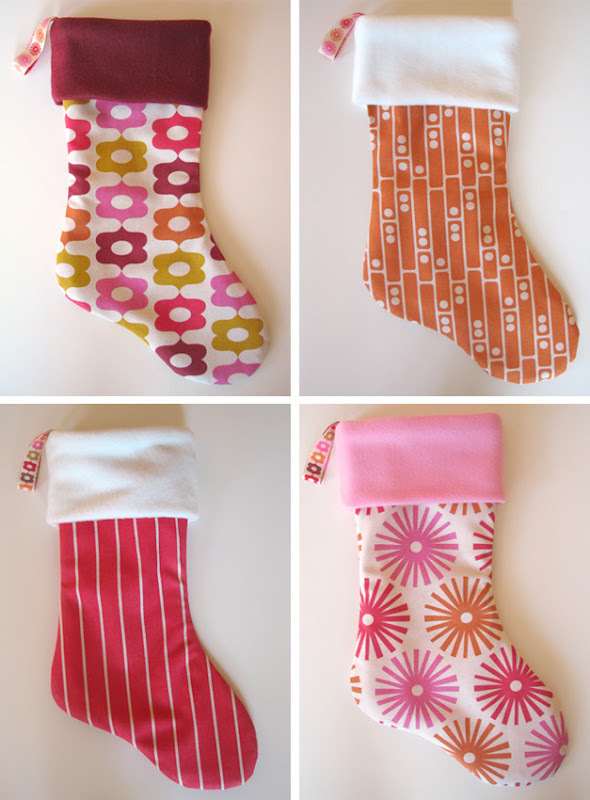 I was dying to use my fabric to make a pair of non-traditional, retro-looking stockings for Alex and me. And then, despite repeated pin injuries, because I loved them so much, I kept going and made a few extra to stick in the shop. They're lined with fuzzy fleece and I wish I could wear them on my feet. Of course I'd have to make them about 10 times bigger. Because I have big feet, not because they are mini stockings. You have read this article shop with the title December 2008. 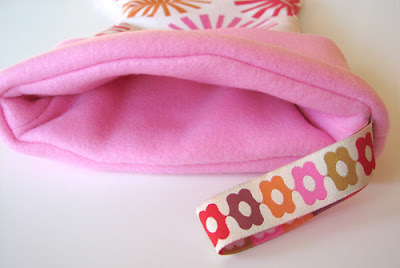 You can bookmark this page URL http://jenkrebs.blogspot.com/2008/12/i-sewed.html. Thanks! 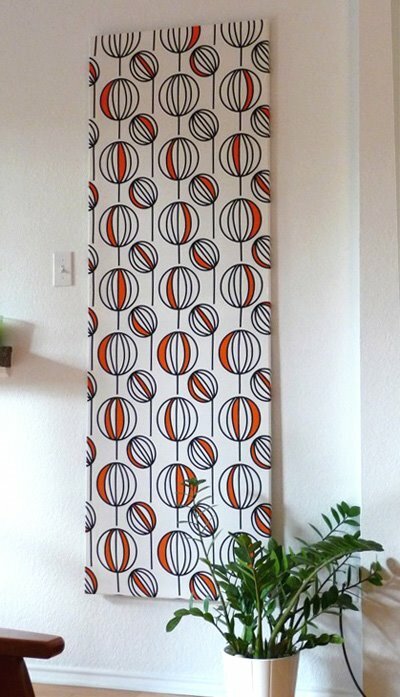 You have read this article decorating / fabric with the title December 2008. 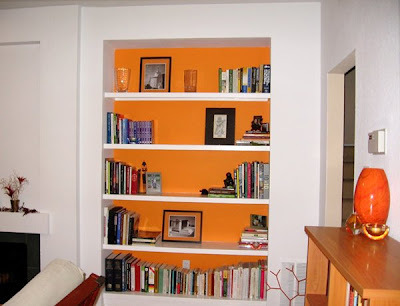 You can bookmark this page URL http://jenkrebs.blogspot.com/2008/12/devrah-wall-art-project.html. Thanks! You have read this article with the title December 2008. 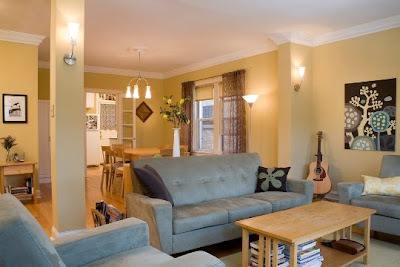 You can bookmark this page URL http://jenkrebs.blogspot.com/2008/12/wanna-come-to-my-house.html. Thanks!